The opening sentence is, "In all honesty, I was dreading writing this book." Personally, I can relate 100% to this. Though john was talking about the "5 ingredients" challenge and not at all: a third in a series. When your first book is published, you feel very lucky and somewhat undeserving, the second is never too hard to get (provide the first was good) but somehow the third seems a challenge for luck and hard work have been consumed and now the public knows what to expect. John Whaite has managed a beautiful book with interesting recipes. Home food, exotic but familiar. For example, if you have cooked with Chorizo it's likely that you have added this ingredient to chickpeas or beans to make some kind of stew. At this stage, instinct says: crushed tomatoes or passata but John has us braising our dish in cider or sherry. This may not be new to hispanophiles but is uncommon enough to create a little frisson, flavour combo is great too. 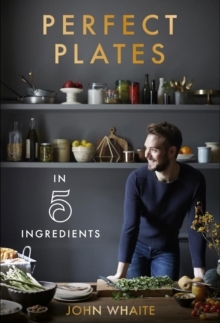 With each recipe, only 5 ingredients are used and by stripping dishes from the superfluous, John Whaite gets an interesting collection of plates. The book is divided in Plates: Morning, Hearty, Everyday, Worth-the Wait, Posh, Many and Sweet. For the foodies in your family of friends, this is a book to add to the list of presents. 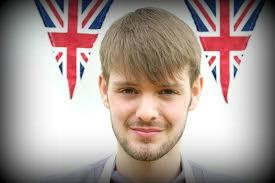 John Whaite will be appearing OnBlackheath the music and food festival on Blackheath mid-September. Check the program out.